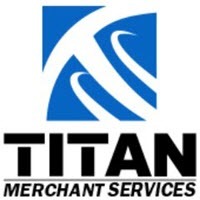 Titan merchant services are a bit of a mystery when it comes to merchant services. No one seems to know much about their history. It is, however, a member of National Payment Processing, which is a well-respected merchant services provider. Titan offers merchant services account for a number of different industries and many merchant services. One advantage that Titan has is the sheer number of services it offers. These include free EMV upgrades and bundle deals on terminals and other POS equipment. They also provide terminals that can be used to enter credit card information over the phone and have many packages that result in the merchant getting free equipment. This can make them one of the cheapest merchant services around. Their website is straightforward and easy to use, which is a welcome relief given how complex these services can be. Finally, there are no leasing fees for equipment, which can save a small business valuable capital. Direct merchant services provided by Titan are also backed by National Payment Processing, which is an A+ BBB Business that has established a great deal of credibility. The fees that titan charges can change based on what industry you are operating in. For example, retail and restaurants get a monthly service fee, but other industries might not. Additionally, it’s hard to tell if Titan is offering their own services or if they are reselling National Payment Processing. This confusion might put off some merchants who want to know who exactly they’re doing business with, and begs some questions regarding how to get the best rates for merchant services. Titan is a growing force in the merchant processing industry, but their mystery and lack of transparency keeps them out of the top merchant services.